I love photographing candid lifestyle engagement sessions because I get to focus on capturing you in your element and being yourselves. 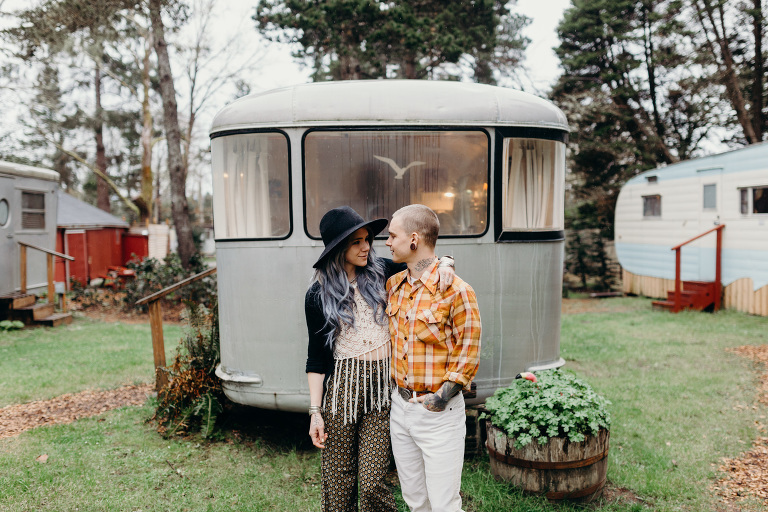 This vintage trailer park couple session was incredibly fun to photograph, as Tricia and Johnny brought their creative vision and natural chemistry to the shoot. The Sou’Wester Lodge was such a fun place to explore. Each of their trailers had a unique touch and neat old furniture and decor. We wandered around and found a cool red tandem bike in a shed so we took it out for a spin! I can’t wait to get back up to Washington for another adventure and another engagement session! Are you interested in getting casual, candid photos of you and your partner? I’d love to hear from you about your ideas!